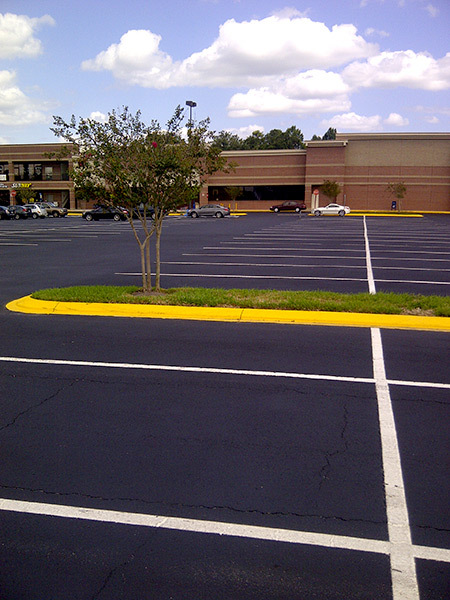 Anyone who owns a parking lot or similar space knows that it is challenging to drain water. Water tends to pool in low spaces unless there is a draining system in place. 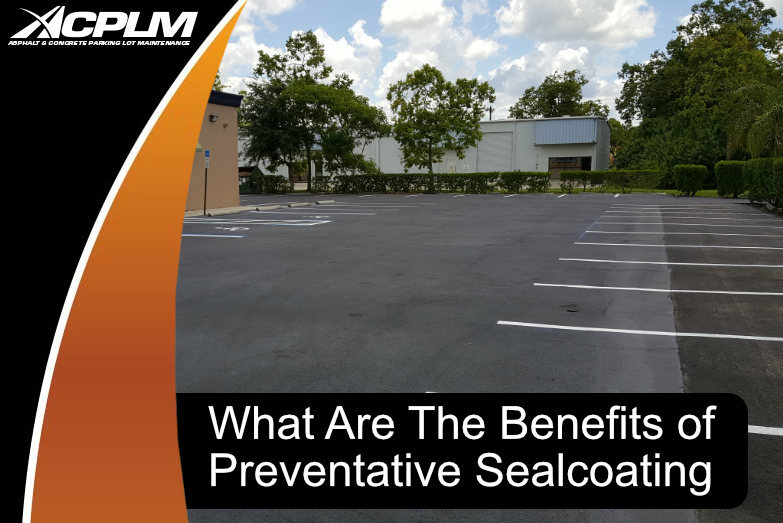 It is important to eliminate water from your parking lot as moisture is one of the leading factors of asphalt / concrete deterioration. 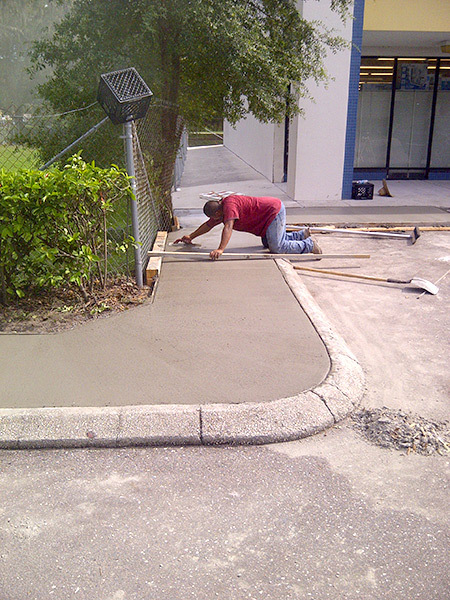 Catch basins are used to help with the drainage of water off of the lot’s surface. Since large amounts of water traveling to the catch basins often prove harmful, catch basins are typically one of the first areas of parking lot problems. The average catch basin is built with a concrete box, a steel frame, a grate, riser rings and a special reducer top. The asphalt eventually shrinks from the frames and water flows through the opened spaces. Since Florida has a heavy rainy season in microbursts, compromised asphalt at catch basins will eventually worsen if left unattended. 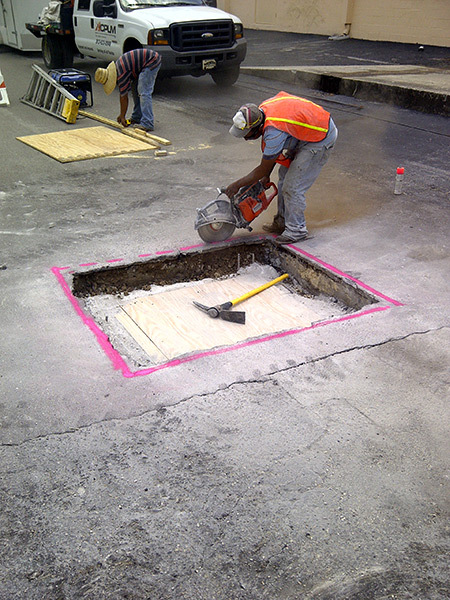 The presence of a damaged catch basin can cause asphalt to cave in and cause concrete failure. Repair your aged or damage catch basin and prevent more costly repairs. 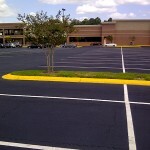 The repair will also reduce the chance of vehicles being damaged in your parking lot. 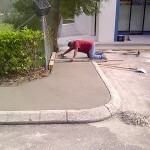 Begin by having an experienced paving contractor like ACPLM inspect the area. This analysis will indicate the extent of the damage. 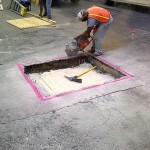 The grate will be removed to permit access to the inner portion of the concrete casting. 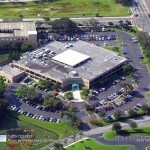 Our team will perform an inspection and take appropriate pictures and/or video. If a repair is necessary, the outside of the catch basin will be saw cut between one and two feet from the frame. 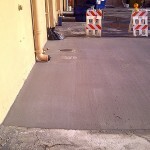 The asphalt will be extracted to the appropriate level. In some instances, the bricks can be left in place. In others, the full frame and grate must be taken out. They will be removed along with needed rows of blocks if the casting is collapsed. Our team will install new blocks for improved elevation. We will pour new mortar that blocks the water. 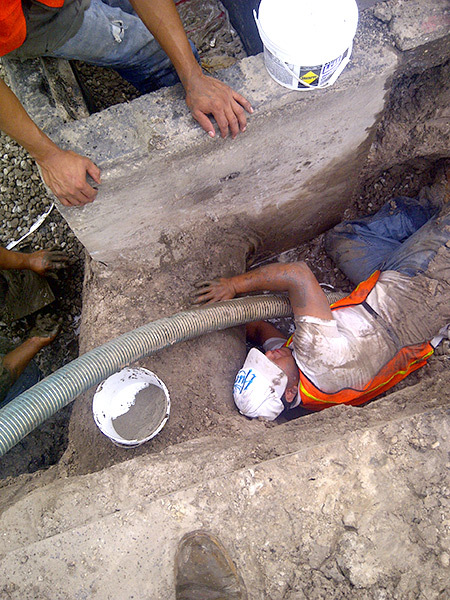 The interior may require mortar to seal joints and other fissures to block additional water from intruding. 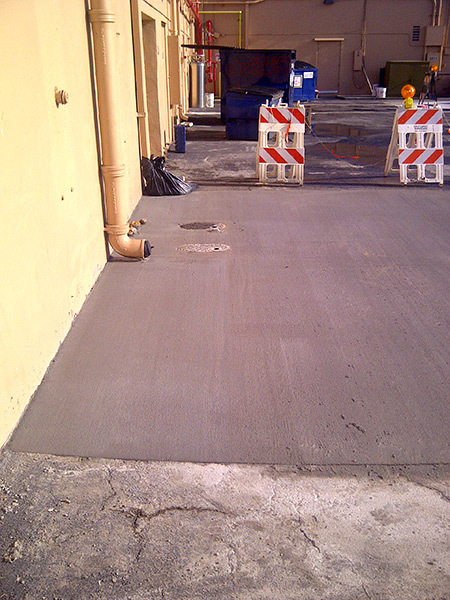 The job culminates with patching the perimeter of the catch basin with concrete or asphalt. 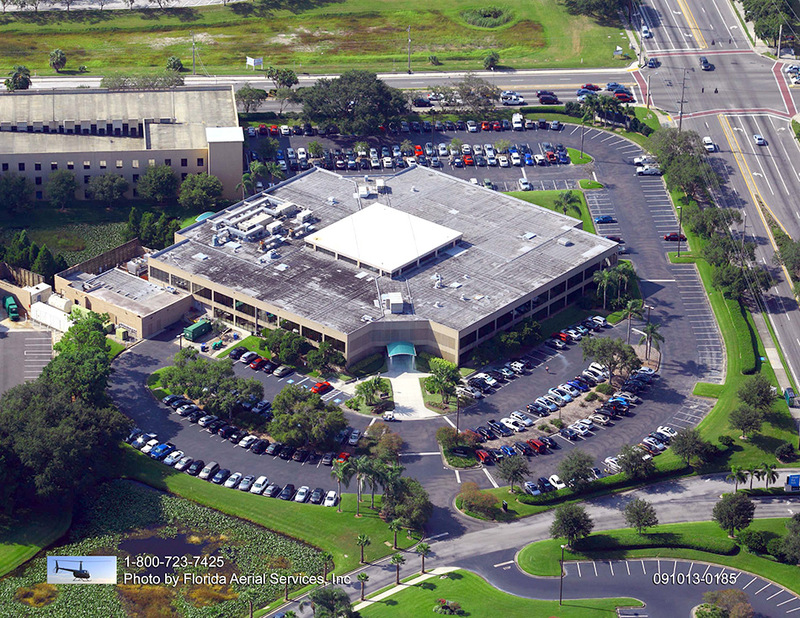 Call ACPLM today for a free evaluation.